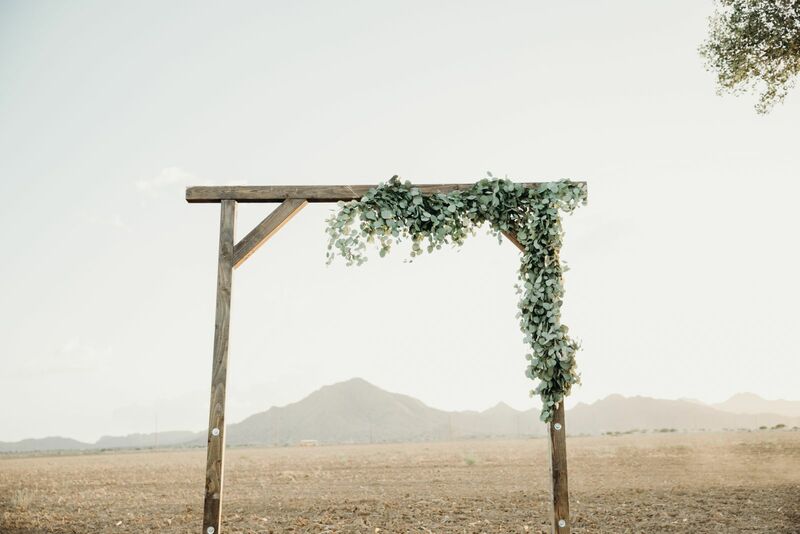 Take your ceremony to new hieghts and frame that moment you become newlyweds with this stunning wooden arch. The arch stand at seven and a half feet high with a width of six and a half feet. 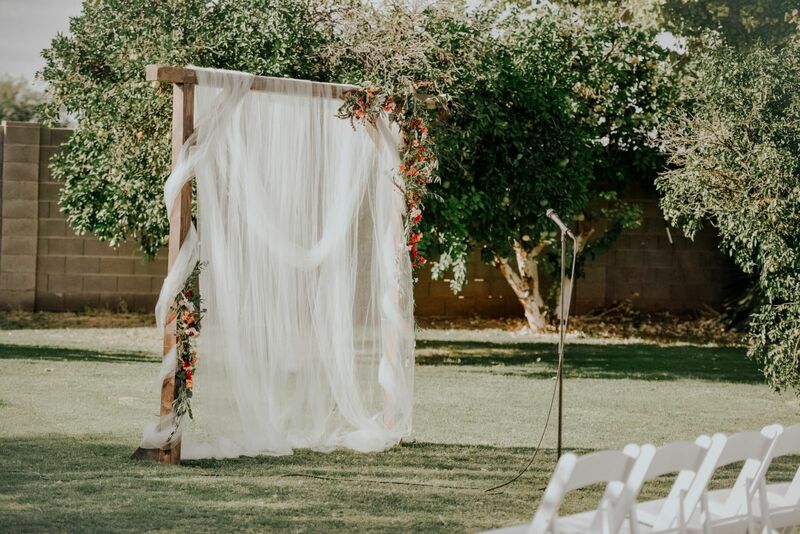 It includes eye hooks acroos the top of the wood beem making it easy to drape fabrics and hang greenery. Heavy duty steel bases that fuse with the ground are added to give strength and durabilty againts strong winds. Question: What are the demensions of this Wooden Arch? Answer: This Wooden Arch stands at 7.5 feet and is 6.5 feet wide. 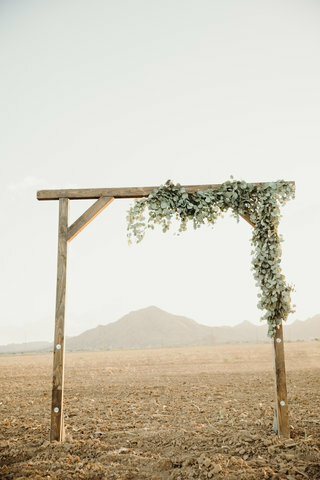 Question: Does this Wooden Arch come with greenery? 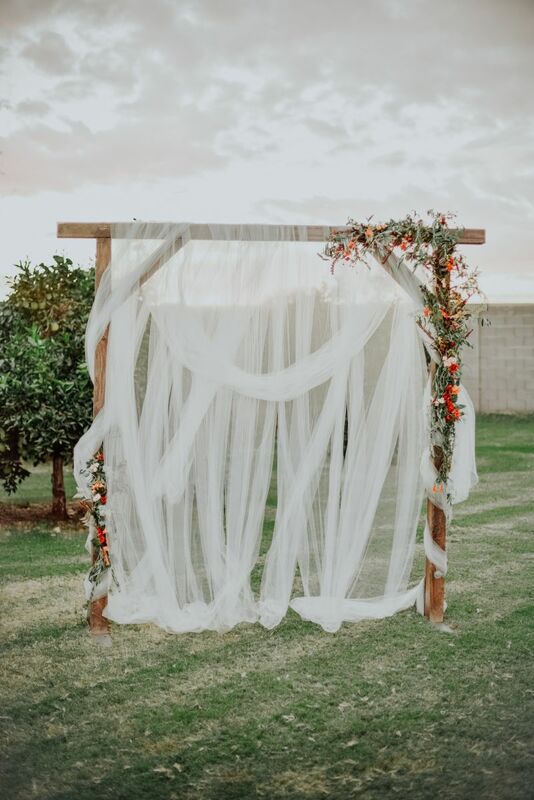 Question: Does this Wooden Arch come with the Macrame Backdrop?